Malte Frerichs (25) of the Osnabrück Tigers just got incorporated in the "Working Pool" of the German Football Association . 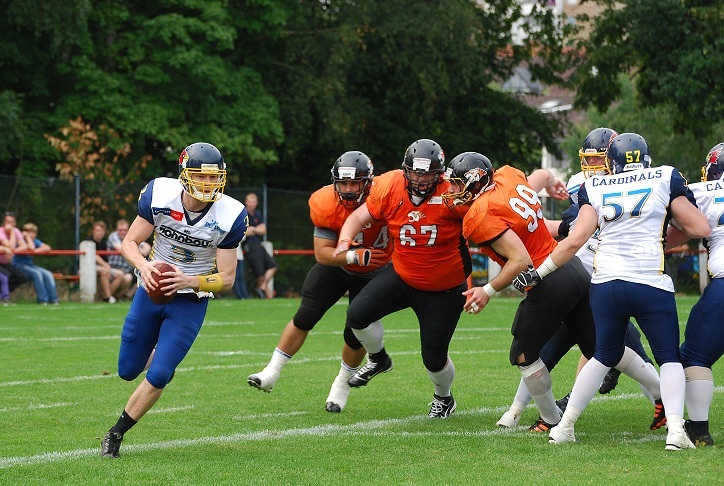 German American Football national team will be formed by choosing players from the Top 103, for the European Championship in 2014. The reigning European champions are preparing for the upcoming EFAF championship The American Football Association of Germany (AFVD) had been invited to the public Sichtungs camp in Giessen. 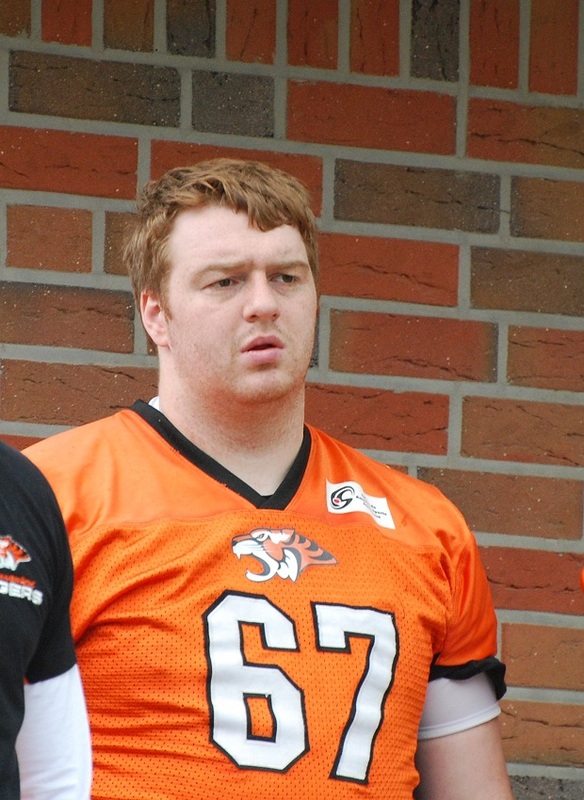 More than 200 delegates attended, including Osnabrück Tigers DT Malte Frerichs. The Defense Tackle ultimately was appointed to the "Working Pool". As the German Football Association recently stated on their website www.afvd.de, this working pool is "the foundation, with the preparatory phase is heralded for Euro 2014". During the year camps will be held where the Top 103 german players will have their chance to prove themselves and show what they can do on the field in order to get their spot on the national team. Frerichs is one of four nose tackles (NT), which are mentioned in the Working Pool. The computer science student is in high-level society. Beside him and Tim Egdmann Maximilian Grewe by German Vice Champion Kiel Baltic Hurricanes and Sven Rieger of the San Diego State University Aztecs were recorded. 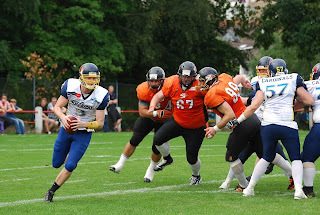 In the course of the upcoming season GFL2, the Osnabrück Tigers often meet other candidate choices. Besides Frerich the LB coach Andreas Merz and DB Mark Scherenberg of the Bonn Gamecocks, WR / DB K Florian Dehrendorf and Clemens Sommerfeld take the Huskies and Hamburg LB Phillip Stursberg of the Lubeck Cougars are also targeted.